“No One Cares About Crazy People” (Hachette Books, 2017). He examines the myths surrounding mental illness and the policies that result from misconceptions and fears. Entwined with this historical and social look at mental illness is Powers’ own story about his sons’ struggles with schizophrenia. This book is a powerful look at where we are and an argument for how we can do more to destigmatize mental illness. Some kinds of anguish need to be shared. That’s not because of the common opinion that anxiety will disperse if you uncork the bottle and let it drift into the fresh, clear air. Ron Powers explains: He did not want to write about his younger son Kevin’s suicide. He refused to admit it, to think or reflect. 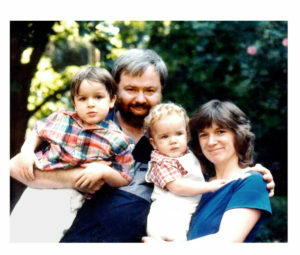 But when his older son, Dean, began to show signs of schizophrenia, he and his wife took immediate action. They were afraid of losing Dean too. In 21 chapters and an epilogue, Powers moves from rage and mourning to a broader treatment. First he examines schizophrenia itself. He provides a deep history of the disease. Readers already familiar with the stories of Charles Darwin, Herbert Spencer, Sigmund Freud, Alois Alzheimer, Dorothea Dix, the Menningers, George S. Patton, Harry S. Truman, (“We have done painfully little about mental illness”) may be tempted to skim. Those who do will miss a rich retelling. Powers, a Pulitzer Prize-winning investigative journalist, sometimes cuts loose like a poet or mystic. Chapter headings give clues to Powers’ approach: “Bedlam, Before and Beyond,” “Eugenics: Weeding Out the Mad,” “Madness and Genius,” “Insanity and Icarus” and “Chaos and Heartbreak” are just a few. Powers wants readers to exert whatever leverage they may have to change the status quo. Like social reformers of earlier times, Powers uses every tool at his disposal to move readers beyond empathy toward action, a full and radical change of heart. Irony is one of his sharper tools. He sounds like Dickens, who asks (in Scrooge’s words): “Are there no prisons? Are there no workhouses?” For readers who wrongly supposed such imprisonment was all in the past, Powers moves to shake us from complacency. He wants us to master our fears and fight. But just when I thought I knew where Powers was heading, his story and especially that of his son, Dean, took an alarming turn. Dean is not allowed to attend his own graduation at Middlebury School. Powers and his wife, Honoree Fleming, are also out-maneuvered by the juvenile justice system. Amy’s parents ask the judge for Dean to be imprisoned for a period of three to eight years, even though jail and its attendant isolation could place Dean in danger of suicide. After a risky move, in which Ron himself argues for the power of forgiveness, the judge relents. Dean is placed under house arrest with his parents as caretakers. Mass shootings by people in psychosis create freshets of outrage—not over our poor and porous identification, care and oversight of mentally disturbed people, but over the laxity of our gun-control laws. Gun-rights advocates hear these outcries and call, not with any great passion, for mental health care reform. Then the conversation drifts to other things, until the next massacre. Police shootings of mentally ill victims, mostly black and poor and unable to find help, inspire similar freshets, with similar results. This article also appeared in print, under the headline “From empathy to action,” in the September 18, 2017 issue. Emilie Griffin is an award-winning playwright and author of many books on religious faith, including Green Leaves for Later Years: the Spiritual Path of Wisdom. She lives in Metairie, La. Her latest title is Goodbye Birds & Other Poems. Ron Powers’ new book, which draws its title from that callous phrase, provides infuriating proof that it is entirely accurate, as well as heartbreaking evidence that it is not. On the infuriating side, Powers provides a nuanced, multi-layered history of the callousness, ignorance, greed, and ideological rigidities that have left the nation’s mentally ill in “conditions of atrocity” (xix). On the heartbreaking side, Powers tells the story of his own beautiful, creative, and schizophrenic sons – one who still struggles with the disease, and another who succumbed to it, hanging himself just shy of his 21st birthday. Powers’ fierce tenderness toward his sons, revealed in family stories and old e-mails, gives the lie to his title. This is an author that cares profoundly about “crazy people,” and has written a sad, but extremely illuminating, book to jar others into doing the same. Best known as a co-author of Flags of Our Fathers, a bestselling account of the World War II soldiers that raised the American flag over Iwo Jima, Powers has written fiction and won a Pulitzer Prize for television criticism. In No One Cares About Crazy People, however, he returns to what he does best: distill copious research into clear prose and well-told stories about the real world. Powers is certainly not the first writer to turn personal experience with mental illness into fuel for a book on the subject. Among recent works, the most obvious comparison is to journalist Pete Earley’s Crazy: A Father’s Search Through America’s Mental Health Madness. In both cases, fathers of schizophrenic sons offer searing, closely researched condemnations of a system that is cruel, costly, and illogical. Powers, however, does more than report on the existing system, which currently houses ten times more mentally ill people in prisons than in hospitals. Instead, he attempts to trace the multiple scientific, social, cultural, and economic vectors that have brought us to the present, shameful debacle. As he tells this sprawling story, Powers draws on his own family history to give the book a narrative spine and emotional center. 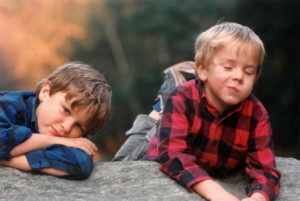 In particular, he chronicles his children’s charmed boyhoods in Vermont, as well as their inexorable slide into illness. We watch Dean, Powers’ older and surviving son, as a child with a precocious storytelling ability; as a teenager who makes a life-altering bad decision; and as a passionate young man struggling to live with major mental illness. Likewise, we watch as Kevin, Powers’ younger and deceased son, becomes a world-class guitarist before his schizophrenia emerges. Transcripts of e-mail exchanges give a jolt of immediacy to the tenderness between a good father and his talented sons. These deeply personal reflections alternate with Powers’ researched chapters, which benefit from his storyteller’s eye for detail and character. When he traces the history of asylums, for example, Powers begins with a British facility that originated in the 13th century and once charged admission to see “patients” – literal prisoners who slept on straw coated with urine and feces. “Bedlam,” as the institution was nicknamed, was guarded by gargoyles called “Melancholy Madness” and “Raving” (60). From this lurid starting point, Powers continues through the movement for “moral treatment” and the reformism of Dorothea Dix, ending in the catastrophic 20th century decision to close large asylums. 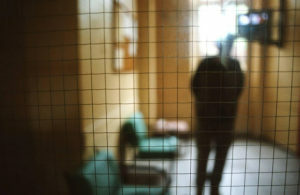 “Deinstitutionalization”, fueled by a disastrous overconfidence in “wonder drugs”, created a situation in which 1.3 million mentally ill people languished in jails and prisons in 2006 (321). Powers also devotes a searing chapter to the criminal justice system itself, with its hair trigger police shootings and casually abusive prisons. He also takes aim at the pharmaceutical industry. Yet even as he highlights Big Pharma’s unscrupulous marketing and obfuscating approach to side effects, Powers also endorses its biology-based approach to mental illness. Indeed, he narrates scientific history with great flair – explaining, for example, how the search for allergy medication led, by route of antihistamines’ sedative effect, to the earliest psychiatric “wonder drug,” Thorazine. Powers is at his explanatory best, though, when describing how culture and ideology have affected the treatment of the mentally ill. He devotes an entire chapter to the rise of eugenics, a pseudo-science that used Darwinian “survival of the fittest” to justify scientific racism and the forced sterilization of the “unfit,” including the mentally ill. Eugenics also inspired the Nazis, who made the mentally ill an early target for slaughter. Even today, Powers argues, it undergirds callous attitudes. More controversially, Powers takes aim at the antipsychiatry movement, whose attacks on the very notion of mental illness dovetailed with both the logic of deinstitutionalization and the non-conformist mood of the 1960s and 1970s. While dealing quickly with thinkers as diverse as R.D. Laing, Ken Kesey, and Michel Foucault, Powers devotes most of his energy to Thomas Szasz, the Hungarian-born psychiatrist who burst onto the scene with 1961’s The Myth of Mental Illness. In essence, Szasz argued that “mental illness” was simply a phrase used to pathologize nonconformist, difficult behavior. In 1969, Szasz partnered with Scientology founder L. Ron Hubbard to found the Citizens Commission on Human Rights. Among other functions, CCHR continues to resist laws that would make it easier to force people suffering from psychosis to take medication. This insistence – that the civil right to refuse treatment protects people too delusional to know they need help – has long infuriated parents like Powers, who cannot force their adult children to get treatment. While he makes a few rhetorical gestures toward the schizophrenics who agree with the CCHR position, Powers might have done more to unpack its nuances, especially since it marks perhaps the major fault line in debates over mental health reform. That he neglects to do so is surprising, because Powers gives admirable attention to the links between the oft-demonized “otherness” of the mentally ill and the role of shamans, writers, artists, and other creative sorts who are gifted, and cursed, with the ability to think and live beyond standard conceptual barriers. In short, he appears to have at least some, limited, common ground with antipsychiatry logic. 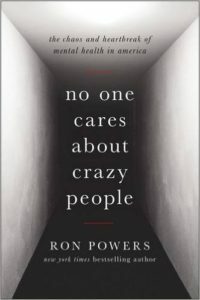 At the end of the book, after walking readers through the gut-wrenching loss of one son and the ongoing struggles of another, Powers does offer a more hopeful final chapter, “Someone Cares About Crazy People.” It profiles advances, activists, legislative proposals, and treatments that promise to make a difference. Nonetheless, the overall tone of the book moves between heartbroken lament and angry jeremiad. Both fit Powers’ explicit goals for the book, which include telling sufferers that they are not alone and issuing a call to action. –Ben Brazil is assistant professor and director of the Ministry of Writing Program, Earlham School of Religion. Pulitzer Prize-winning journalist Powers (Mark Twain: A Life, 2005, etc.) presents two searing sagas: an indictment of mental health care in the United States and the story of his two schizophrenic sons. Having previously published notable books in the realms of biography, media criticism, small-town ethnography, investigative journalism, and memoir, the author once again demonstrates his versatility. The unforgettable title of his latest book derives from a callous comment made by a politician in 2010. As Powers demonstrates through in-depth reporting and his own personal experience, even when those in positions of authority sincerely believe in the importance of helping those who are mentally ill, meaningful care tends to receive short shrift at budget time. The author never wanted to write a book about mental health because of the nightmares that would arise discussing highly personal matters. However, he decided that the urgency for improved mental health policy and funding in this country compelled him to forge ahead with a manuscript. By the time of his decision, nearly a decade had passed since his younger son, Kevin, had hanged himself in the basement of the family home a week prior to his 21st birthday. Then, as Powers and his wife continued in the grief and healing process, their only remaining child, Dean, began to show signs of schizophrenia. A psychotic break on a Christmas morning melted away the author’s resolve to refrain from writing this book—and readers are the beneficiaries. Powers intends for the book to comfort families dealing with severe mental illness, to shock general readers with examples of atrocities befalling the mentally ill, to show that “crazy people” are rarely dangerous to anybody but themselves, and to push for significant reform. “I hope you do not ‘enjoy’ this book,” he writes in the preface. “I hope you are wounded by it; wounded as I have been writing it. Wounded to act, to intervene.” This hybrid narrative, enhanced by the author’s considerable skills as a literary stylist, succeeds on every level. Pulitzer Prize–winning writer Powers shares his family’s struggles as two sons suffer from schizophrenia. Youngest son Kevin ends up committing suicide by hanging himself in the basement just before turning 21. Older son Dean remains under treatment for the disease. So much pain and loss, helplessness and frustration. Powers recalls the boys’ darkening moods, increasing opaqueness, and psychotic episodes. He points out a major obstacle to survival is anosognosia—a lack of insight into one’s condition, a faulty belief that nothing’s wrong with your mind. His very emotional memoir also covers some of the history, legislation, pharmacology, and science of schizophrenia. He reminds us how apathetic and cruel society can be when it comes to mental illness. Consider the colloquial nomenclature: loonies, lunatics, nutcases, psychos, wackos. He reviews the tsunami of miscalculations and mistakes in the 1960s that launched mental-health care on a terrible trajectory: the denouncing of psychiatry, dosing patients with new drugs to make them more docile, and releasing hundreds of thousands of mentally ill individuals from psychiatric hospitals and community-health centers. Presently, prisons are America’s biggest mental-health facilities. Powers grieves, “Too many of the mentally ill in our country live under conditions of atrocity.” Shame on us. Unfortunately, the reader is also witness to schizophrenia sweeping through the loving family as Kevin and Dean experience hallucinations, paranoia and psychotic breaks. The boys’ interactions with the mental health care system give Powers a first-hand look into its failings, and in turn he shows the reader the devastating human consequences of society’s indifference toward the mentally ill.
‘No One Cares About Crazy People’ cries for more attention for the mentally ill – Pulitzer Prize-winning writer Ron Powers draws on heart-wrenching personal experience in writing about the way society treats the mentally ill. Powers is an award-winning writer with criticism, narrative nonfiction, and biography to his credit. He is the author of Mark Twain: A Life and coauthor of the No. 1 New York Times bestseller Flags of Our Fathers, which was adapted into a film directed by Clint Eastwood. He and his wife, Honoree Fleming, a pioneering biochemist, are the parents of two sons, Dean and Kevin, who were diagnosed with schizophrenia in young adulthood.